I joined Jim as a free-lance costume designer for The Frog Prince in 1970 after working Off and On Broadway for several years. A friend mentioned that Jim Henson was looking for a costume designer for a TV special. I knew his work. I loved his zany humor and the abstract characters he performed on The Tonight Show and The Ed Sullivan Show. I didn’t believe they were serious but I called and actually spoke to Jim on the phone and made an appointment to show him my portfolio. At the time I was also experimenting with my own work in what I called soft engineering. I was creating realistic muslin life sized human figures and costuming them in period dress. I believe it was that work and the all-plastic opera costumes for Dido and Aeneas that piqued his interest and led him to hire me for the job…and incredibly good luck! Jim cleverly gave me a place to work at the brilliant and mischievous Donald Sahlin’s worktable, the beginning of a wonderful and entertaining friendship. 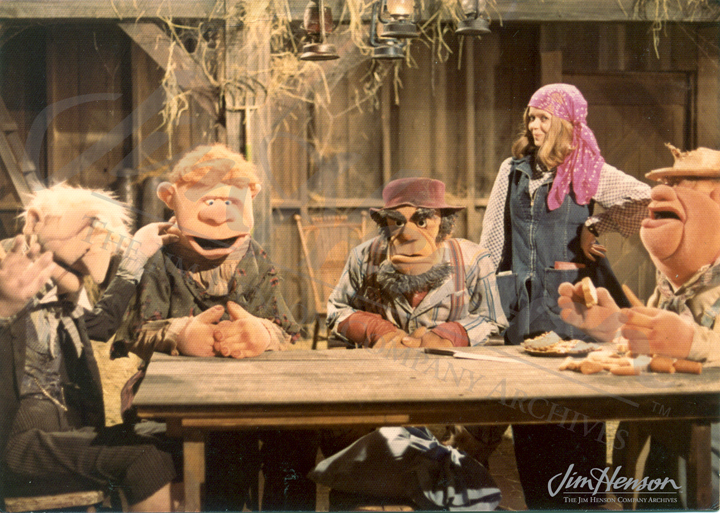 Don also became a mentor, sharing tricks and techniques as I went from designing costumes to creating patterned foam puppets like The Muppet Musicians of Bremen and then experimenting with carved foam characters like the Country Trio, Miss Piggy and Statler and Waldorf. At the same time I was learning about business from Jim. My original plan was to have my own design studio, but the appeal of working with Jim and the talented people he had gathered around him was impossible to resist. His projects were exciting and satisfying, I was learning so much and it was just so much fun. But once we completed that first year of The Muppet Show I felt I could leave. I loved the show and London, but the series was established and already a big success; I wanted my son to return to school in the states; and it was time for me to establish a business. When I told Jim I was leaving he said, “Well, I know this is what you need to do. And we’re not going to lose touch.” Luckily, we never did. Jim became one of our first clients, hiring me for productions like Fraggle Rock, Bunny Picnic, Christmas Toy and to consult on licensed product for Sesame Street where I was a Creative Director for fourteen years. 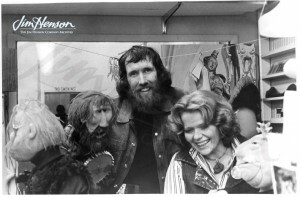 After Jim’s death, I became a trustee of The Jim Henson Legacy, established by Jane Henson and colleagues in order to inspire others with the contributions he made to the worlds of film, television, puppetry and media technology. As you can see, I never went too far away. Bonnie Erickson with the characters she designed for The Muppet Musicians of Bremen, 1972. 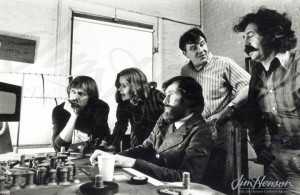 (Left to right) John Lovelady, Bonnie Erickson, Jim Henson, Faz Fazakas and Don Sahlin in the New York office, mid 1970s. Jim and Bonnie Erickson enjoy a laugh with three of the puppets she designed, Frank and Jim from the Country Trio and Waldorf, 1975. This entry was posted in 10-October '76, 1976, Christmas Toy, Fraggle Rock, Muppet Musicians of Bremen, Muppet Show, Sesame Street and tagged Bonnie Erickson, County Trio, Don Sahlin, Jim Henson Legacy, Miss Piggy, Statler and Waldorf. Bookmark the permalink.